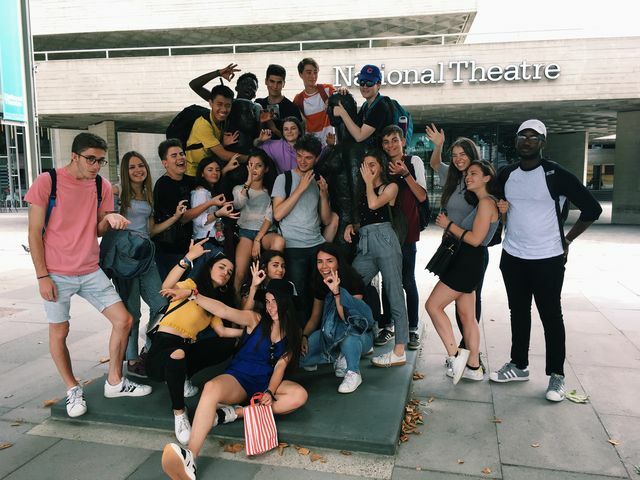 Os dejamos el relato del viaje de nuestros alumnos a Londres. Eight students from IES Alhama and three from EASDi Corella participated in this unforgettable trip. We started our adventure at (OMG!) 6 o’clock in the morning, whenwe hopped on a bus that took us to BiarritzAirport in France. After some long hours on the road we got on the plane to London, where our English partners picked us up. We spent the rest of the day with our families doing different activities like going out with friends, walking around the area or watching TV. The next day all the group got together to get on a train that would take us to Brighton. Our English partners showed us around the city and we walked along the beach up until an area with restaurants and bars in which we had lunch. To finish the evening we went to an open cinema to watch Spain and Russia confront each other in a round of 16World Cup football match. Unfortunately Spain lost, but there were no big football fans among us. We got back to London and enjoyed what was left of the evening with our host families. That day we had to leave our partners at school while we went on our first visit to London. We strolled across Hyde Park, we visited the Natural History Museum (fantastic!! )and, just for a little while, Harrod’s, the most famous department store in the world. Right afterwards we went sightseeing: Buckingham Palace, Westminster Abbey, Big Ben, Houses of Parliament… We got back to the school and rested after a long day of non-stop walking. Tuesday was the only day we had to attend to class, so we went to a few of their usual lessons. After lunch we were lucky and we got invited to see the school musical that was being performed only during that week. In the afternoon we went to Westfield Mall, the biggest shopping centerin England. We had to take several trains to get there, but it was worth it when we got to see how spectacular that building and the shops were. In the end we spent almost 5 or 6 hours walking, having dinner but mostly of course,shopping. The most exciting and tiring day was definitely Wednesday. We spent the whole day in London centre and to top it off we went to see Aladdin, a breath-taking musical. The first thing we did was hopping on a boat along the river Thames from Greenwich to London Tower. 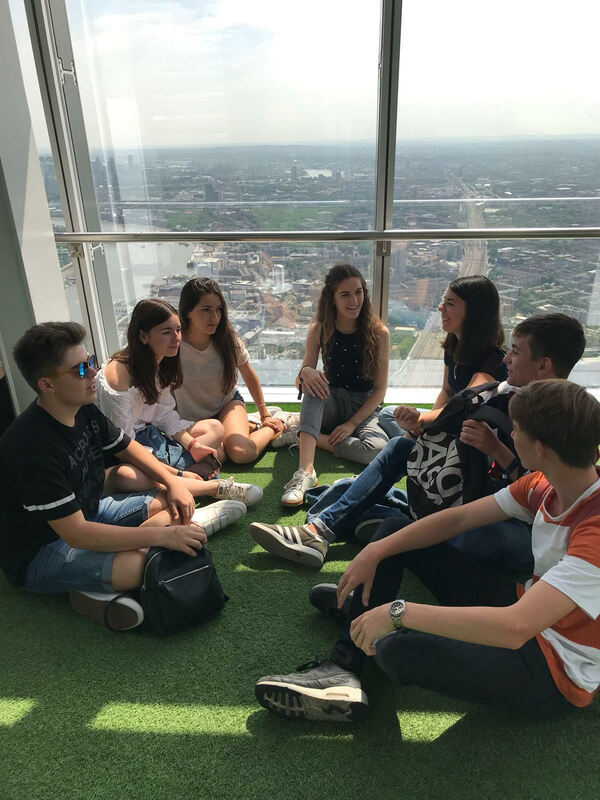 Our next destination was the Shard, one of the tallest buildings in London, from which you can see the whole city through the enormous glass windows that surrounded the skyscraper. We had lunch at Borrow Market, full of peculiar stalls, and then we rushed to the heart of London: Covent Garden, Leicester Square andPicadilly Circus. Once we had had our dinner we got together to go to the theatre and watch the spectacular musical Aladdin. Everyone was amazed by the performance, and we all agreed it was the best show we had ever been to. Our trip sadly came to an end on Thursday. We had to say goodbye to all of our English partners and families to get on the plane back to Spain. We would’ve been delighted to stay at least one more week, but anyway we were all very happy with how the trip had turned out. Many of us are still keep contact with our partners and I’m sure we’ll see each other again soon.